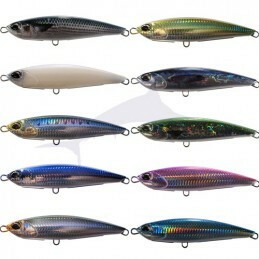 Introducing Halco’s newest and BIGGEST member of the Max family, this bibless minnow is suitable for both casting and trolling applications, in a smaller bite size offering. The variable action and trihedral body have many actions. The Press bait HD 125 has an extremely wide scope. Flowing declination of Rough Trail Aomasa. The Hydra is an ultra rangy pencil. 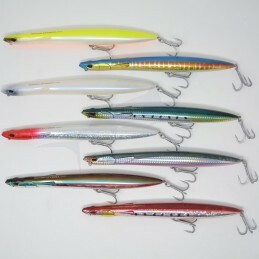 The FCL Labo CSP S220S has been the stickbait to have over past few years. An amazing long popper!!! 26 cm long for 140 gr!!! It launches easily, even in the wind and is not hard to swim. This "chopping pencil" will surprise you with its action. They have a fantastic swimming action when worked back towards the boat. 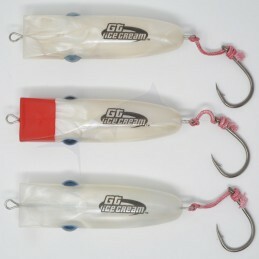 Artificial specifically developed for fishing large predators. 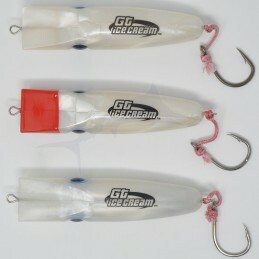 A stickbait that can be used for any spinning anglers. 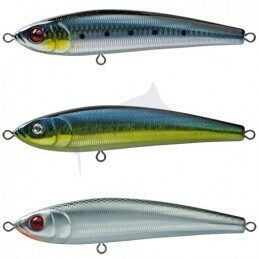 The lure is a massive 220 mm long and weighs a substantial 180 grams and its slender profile casts like a bullet into the strongest breezes. It has been designed to run straight and true several metres below the surface in the roughest of sea conditions. 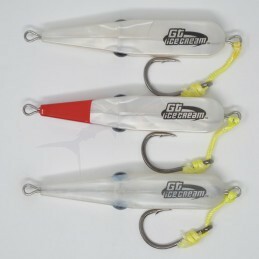 The streamlined design allows for high operating speeds and maximum hook exposure, so critical in lure design. 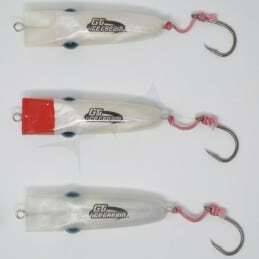 Max’s effective operating envelope is exceptional, ranging from a fast spinning retrieve to a racy 14 knots while trolling. 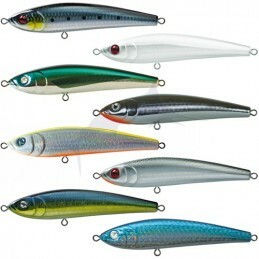 Like all Halco lures, Max is constructed out of high tech polymers and has been built with strength and durability in mind. 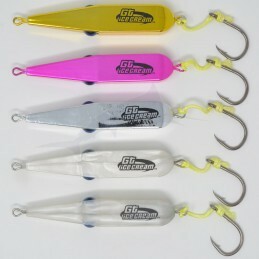 Heavy duty Halco Fish Rings and 2 extra strong Mustad hooks are standard equipment on Max.